Today, Microsoft’s new Windows 10 Game Mode feature spotted in latest in Insider preview build. The new Windows 10 Game Mode feature will give more system priority to games for improved gaming performance. The latest Windows 10 Insider build 15007 bring this new Game Mode setting in the Game DVR panel. In the Game DVR panel settings, you will see the new Game Mode option. From here, you will be able to manually enable the Game Mode for a game which you are currently playing. However, the Game Mode feature is not working yet in this build. 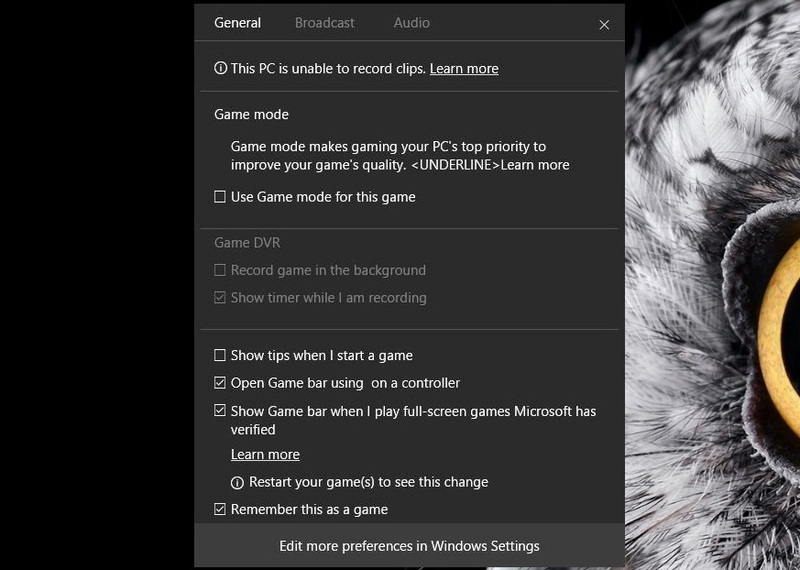 Additionally, Microsoft has also added a new Game Broadcasting feature with Windows 10 Insider Build 15007. Now there is a new broadcasting icon on the Game DVR panel, which will let you start streaming a game via Beam. However, this feature is also disabled at the moment. We can expect that the company will enable these new features in upcoming Insider builds.